In the south Florida climate, water is everywhere. Often welcome, water is vital to our lives. When water appears on a commercial roof, however, we search for prevention and repair solutions, including waterproofing. Waterproofing a commercial roof is not as drastic as a complete tear-off and replacement, but is a bit more involved than spot repair work. 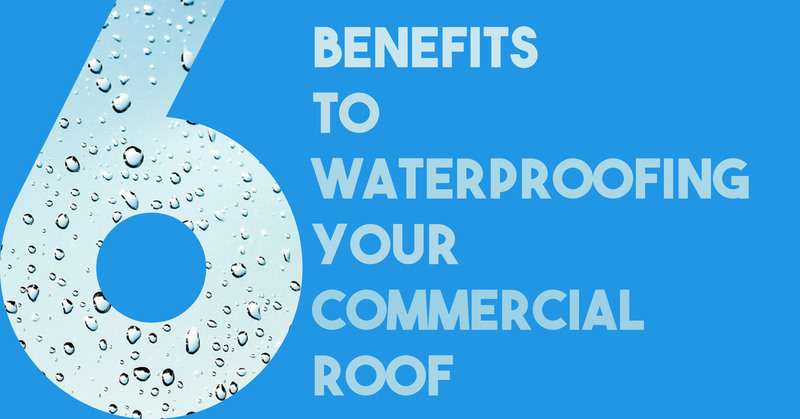 Waterproofing offers six distinct benefits to the careful commercial property owner. Waterproofing, in which an acrylic, urethane or silicone spray coating is applied on top of your existing single-ply or built-up roof, is far less expensive than facing tear-off and replacement of the entire roof. Waterproof spray coatings can be formulated with highly reflective ingredients, so infrared radiation for the sun is bounced back, away from your building. This lowers cooling costs, saving you money. Some waterproofing and reflective coatings may qualify for rebate programs, adding to your net gain. Energy Star certified products, from the federal program, often have warranties that not only guarantee energy efficiency, they increase the useful life of your existing roof. A roof, especially in south Florida, that repels heat will last far longer than one that absorbs heat. This is because the waterproofing that helps reflect heat keeps the chemicals in the roof intact. The chemicals and polymers do not break down as they would on a hot roof. With lower heat absorption from waterproofing, your whole commercial property stays cooler, increasing employee and customer comfort. Cooler employees are more productive. Comfortable customers are more likely to linger and return, driving up sales. Waterproofing at its simplest, of course, stops water infiltration. When crackling, shrinkage or seam separation can lead to roof leaks, waterproofing puts a stop to all those headaches. With less water finding its way into your building, humidity drops. Less humid air cools more efficientlyl and provides greater comfort at higher temperatures. A waterproof coating atop your existing roof membrane, modified bitumen or built-up roof becomes far easier to repair and maintain. Repairs will be smaller and less extensive, with fewer problem spots to tie up your overworked facilities crew. To learn more about other benefits of having a protective waterproof coating applied to your commercial property’s roof, contact PSI Roofing today.